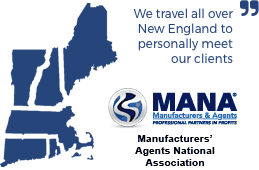 As a leading provider of Manufacturer's Sales Representative services we take pride in offering personalized face-to-face representation, calling on quality fastener and industrial distributors in New England. Rick Rudolph Associates is a Manufacturer’s Representative Agency representing the highest quality manufacturers, master distributors, and importers of the finest fasteners, hardware, tools, electronic components and related products and services to New England’s distributors. Rick Rudolph Associates, based in Melrose, MA, has a team of experts that can provide the resources and solutions you need to get the job done right. 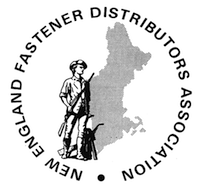 Morgan Rudolph, C.F.S., is currently the Vice-President of the Board of Directors of the New England Fastener Distributor’s Association. Morgan is designated by the IFI & the Fastener Training Institute as a Certified FastenerSpecialist. Rick Rudolph is the past President, Vice President and Chairman of the New England Fastener Distributor's Association (NEFDA). Rick was one of the first inductees into the New England Fastener Distributor's Hall of Fame. Rick served three years as the NEFDA liaison to the Fastener Industry Coalition. Buckeye Fasteners Company, a division of Fastener Industries Inc., is a leading supplier of fasteners, helping customers anchor their products since 1905. The sole factory direct source of the Ohio Nut and Bolt Company, Buckeye provides a wide array of fasteners including weld fasteners, adjusting screws, nuts, pressed nuts, stand-offs, cap, acorn, thumb nuts, rivet nuts, grease fittings, clevis pins, furniture glides, and more. Buckeye Fasteners has complete custom manufacturing capabilities and supports their products from development to implementation. Our on-staff engineering department can assist you with product development and provide total technical support. Our knowledgeable Sales Team Members offer superior customer service and are here to answer any questions you may have regarding our products. Manufacturer Specializing is Sealing Screws and Fasteners. Our hardware is designed with a groove under the head and an o-ring to be used in applications requiring sealing protection. We offer MS3212/MS3213 with all NASM82496 test reports, DFAR and ROHS compliant, registered ISO 9001. Offering a variety of screw materials, including 300 Series SS, Steel, 316 SS, Titanium, and other exotic materials. Product line includes, Sealing Machine Screws, Sealing Nuts, Hex Seal Bolts, Seal Washers and Switch Boots for electronic components. Metric and Inches with minimum orders of 100 pcs. Brikksen supplies quality stainless steel fasteners in both metric and inch. Offering prepaid freight on web orders over $500 and all orders over $750.Brikksen’s inventory allows for 24-hour delivery turn around and your one stop for pkg or bulk stainless fasteners. DIN standards from inventory. ISO 9001:2008 Certification. All Electronics hardware provides a wide variety and styles of Printed Circuit Board supports and Fastening devices as well as a large selection of Clips and Clamps to efficiently organize and manage cables, single wires, and wire bundles. In addition, AEH offers an extensive line of wire termination products such as insulated terminals and screw on wire connectors. Our engineering department will also work with you on new parts as well as modification of existing parts to suit your specific application.AEH is ISO 9001: 2000 Certified. No minimum order.